Winners of the TiE SV Smart Cities Hackathon - "Tackling the World’s Urban Social Issues"
TiE Silicon Valley SmartCities Hackathon, powered by Atomiton, enables coders, non-profits and social activists to produce solutions to improve cities across the globe. This year's winning teams have produced technology for some of our most pressing waste management issues, especially for developing countries. 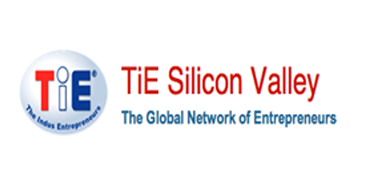 TiE Silicon Valley is proud to announce the winners of the 2016 Smart Cities Hackathon initiative featuring the theme "Tackling the World’s Urban Social Issues". The event featured more than 100 teams who used their coding skills to produce innovative solutions for some of the most pressing environmental problems in the world. Three teams pulled ahead of the rest this year, with Team Culminant walking away with first prize. Through entrepreneurship and stellar leadership, this year’s technological solutions are on track to put a major dent in the waste that threatens our global environment. The hackathon featured highly talented teams from over 10 countries and 50 cities coming together to brainstorm, code and create in the name of a greater social cause. Six outstanding projects were shortlisted for more detailed judging — and they did not disappoint. Three key problems were available for teams to address, including parking, waste and water management. However, the three top teams chose to specifically address the waste management issue. After all, the challenge for waste management is huge, with the World Bank estimating that global solid waste is set to increase by 70 percent by 2025, which will generate six million tons of waste per day. This problem will require huge sums of money to manage, which are expected to exceed $375 billion annually by 2025, with developing nations baring the brunt of these costs. In order to find solutions for the future, the first place Team Culminant produced a brilliant worker routing system. This Internet-of-Things (IoT) solution offers real-time tracking of all the top sites where garbage is accumulating and other waste management trends, and then efficiently reroutes workers according to this data. Their intuitive UI dashboard even helps tracks company balances and revenue to help waste managers as they build a smart and efficient marketplace for waste management. Their solution earned them a $5,000 prize and passes to TiEcon 2016, world’s leading annual conference on entrepreneurship. A $3,000 second prize plus TiEcon passes went to Team Vermigold, which offered a self-learning waste management collection system that not only maximizes garbage collection in the minimum amount of time, but also grows revenue for waste management companies. Team Vishwakarma snatched the third place prize of $2,000 plus TiEcon passes by devising a cost-effective trash bin system that uses odor sensors to improve metrics such as trash bin usage, dump sites and company revenue. The event was made a reality through the tireless support and resources of our partners including BayBrazil, the City of Palo Alto, Outsource Brazil, and the academia. Submissions were evaluated based on key criteria, including meeting the business goals, functionality, usability, originality and articulation. Mahindra Two Wheelers Ltd. (MTWL), part of the US$16.9 billion Mahindra Group, launched the all-new Mahindra Gusto125, further expanding its growing presence in the scooter segment. The Gusto 125 is also being launched globally across Asia and Central America. Developed completely in-house at Mahindra’s RnD Centre in Pune, the technologically advanced Mahindra Gusto 125 comes with: Powerful 125cc M-TEC engine with MCDi technology; Innovations like host of category-first features like the Remote Flip Key, Find-Me lamps, Guide Lamp, Bright Halogen Headlamps with LED pilot lamps, easy front kick. The Gusto 125 will be available in two variants Vx and Dx. 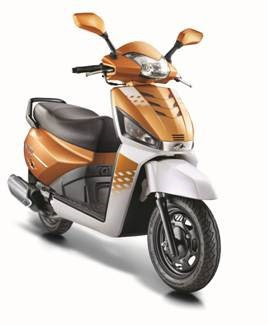 Priced of 50,680 and top end Gusto 125 VX, priced at Rs.53,680 (Ex-Showroom Bengaluru). The Gusto 125 will be available in two variants Vx and Dx. Gusto 125 Dx is being launched at an extremely attractively price of 50,680 (Ex-Showroom Bengaluru). The top end Gusto 125 VX is priced at Rs.53,680 (Ex-Showroom Bengaluru). Gusto 125 will initially be launched in the southern states of India before being rolled out across the rest of the country. 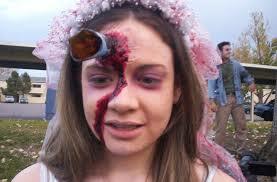 It will be supported with a comprehensive multi-media marketing campaign. 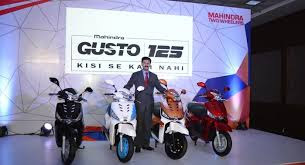 Along with the new features, the Gusto 125 retains all of Mahindra Gusto’s erstwhile consumer-inspired technology features that have delighted customers. * Height Adjustable Seat: India’s only scooter brand to offer a Height Adjustable Seat. * Ride Quality: Large 12 inch wheels with tubeless tyres, front telescopic suspension with air springs, long stroke hydraulic rear suspension, high ground clearance, and wide wheel base ensure best-in-class ride quality, safety, and stability. Switzerland has witnessed a strong growth in the number of tourists travelling from India in the year 2015. The total number of 5, 9400 Indian tourists visited Switzerland in 2015 and expect a 15 percent jump in Indian tourists during 2016. In fact, Switzerland after staying relatively stagnant over the last three years, the number of tourists visiting Switzerland from India jumped 22 percent in 2015. Growth was particularly strong in June with 40 percent more Indians travelling to Switzerland compared to the same period last year. Bengaluru has always been an important city for individual travellers but there are also increasing numbers of group travellers from the interiors of Karnataka. Since most Indian tourists visit Switzerland during the months of May to July each year and the focus is now to bring them throughout the year. Switzerland Tourism launched the ‘In Love with Switzerland’ campaign to promote winter tourism in the Indian market. “We are promoting winter tourism for the Indian tourists selling destinations such as St Moritz, Davos Klosters, Rhaetian Railways and Ticino for winter tourism,” said Zemp. 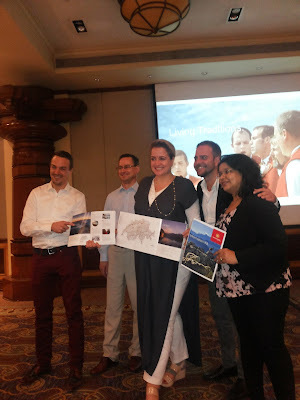 Switzerland Tourism has launched two promotional campaigns aimed at wooing visitors from Bengaluru to travel to Switzerland in the summer season, amid a general surge of tourists from South India to the picturesque alpine country. The Grand Tour of Switzerland is a 1,600 km road-trip linking the country’s most popular, touristic and natural destinations in one scenic journey. Travellers can embark on this tour from different places like Lucerne, Zurich, Geneva, Basel, Lugano, etc. and can split it into any number of journeys. The Grand Tour of Switzerland allows you to discover different facets of Switzerland as per your own preference. This has been an extremely successful promotion over the summer, with many tourists exploring Switzerland by car and is also perfect for the upcoming summer holidays. The second campaign is titled the ‘Grand Train Tour of Switzerland.’ Indians are particularly fond of train travel and are among the largest users of the Swiss Travel Pass. As the name suggests, the tour takes travellers across the country along Switzerland’s most popular and picturesque train routes like the Glacier Express, the Bernina Express and the GoldenPass. Lucerne and Lake Lucerne Region are on both the itineraries and the representatives of Lucerne, Lake Lucerne Navigation Company and Mt. Pilatus were also present during the presentation. Lucerne is an ideal starting point for the exploration of the Lake Lucerne Region and offers a wide range of attractions to discover. Centuries-old sights such as the Chapel Bridge, the Musegg Wall, the Lion Monument and the historic Old City form the exciting contrast to contemporary Lucerne: the KKL Luzern, the abundance of restaurants and an attractive range of shopping. Lucerne is also called the festival city with it’s many delights throughout the year, with blues, jazz, rock, comics or the splendidly colorful Carnival. Mt Pilatus, the home mountain of Lucerne offers the perfect three way golden roundtrip in summer. You can take a series of cable cars up to the mountain and take the world’s steepest cogwheel on the way down and connect on a boat which brings you back to Lucerne. PILATUS-BAHNEN AG has invested 18 million Swiss francs in a new aerial cableway ‘Dragon Ride’ (Fräkmüntegg – Pilatus Kulm) which has been in operation since April’15. The centerpiece consists of two modern cabins which give passengers the impression of flying thanks to their spacious interior, cockpit-like design and large windows – a mountain experience that gets the adrenalin pumping. A boat ride on Lake Lucerne, which has the most extensive inland navigation system in Europe, is simply a must. The panorama boat, the five paddle steamers or the elegant catamaran are certain to render your stay extraordinary. There is also an extremely popular dinner cruise which offers Indian cuisine – this cruise is going to be available daily in the summer peak season from May 2, 2016 onwards. PC shipments in India totalled nearly 2.6 million units in the fourth quarter of 2015, a 10.6 percent increase over the fourth quarter of 2014, according to Gartner, Inc.
White boxes (including parallel imports), which accounted for 32 percent of the overall desktop market, declined 6 percent in the fourth quarter of 2015 compared to the same period in 2014. In the fourth quarter, mobile PCs grew by 27 percent year-on-year primarily due to state government orders. Lenovo moved into the number one position in PC shipment in India in the fourth quarter of 2015 (see Table 1) due to the state government order execution in the quarter which helped Lenovo experience the largest increase in market share. Idea Cellular, one of the largest Indian telecom operators, today announced the launch of its high speed 4G LTE services across 28 towns of its leadership market Maharashtra & Goa, covering major towns of Nagpur and Ahmednagar. With this launch, the company has delivered on its promise to launch its 4G LTE services in 10 circles within FY16, which covers 50% of Indian Mobility market but over 60% of Idea’s revenue. Starting Dec 23rd, 2015 Idea rolled out its 4G LTE services in 4 circles of south - Andhra Pradesh & Telangana, Karnataka, Kerala and Tamil Nadu & Chennai, 3 major circles of north – Madhya Pradesh & Chhattisgarh, Punjab and Haryana in February, followed by extension of services to 2 other circles Orissa and North East, and now in Maharashtra and Goa. Presently available in over 300 towns, Idea aims to exit FY16 with its 4G LTE services covering over 550 towns in these 10 circles, and plans to extend the 4G footprint to over 750 towns by June 2016. Idea is the fastest growing telecom operator with an overall RMS of 18.9% as of Q3FY16 report of TRAI. 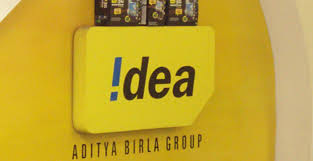 Idea has 6.1 million 4G devices, nearly 6% of its subscriber base in these 10 telecom service areas, registered on its network. In comparison, on an All India basis, Idea has nearly 48.6 million customers owning 3G devices (approx. 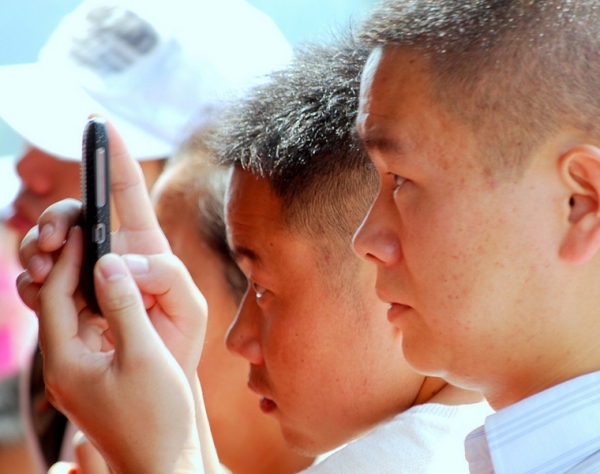 28% of EoP) and over 9.8 million customers with 4G devices (approx. 5% of EoP). 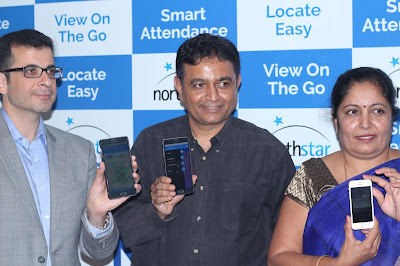 Magnasoft announced the launch of Northstar, a comprehensive child safety platform in Hyderabad. Magnasoft is a technology products company building cutting edge technology in smart wearable’s, mobile, IoT & cloud services were present during the launch. Northstar, the first product offering of Magnasoft, is an integrated platform that protects children while they commute to, and from school. A web application designed specifically for schools empowers the school authorities to manage their transport related information, monitor their fleet and children in real time and take immediate action in case of any incidents. Northstar also has an App for Parents to locate and view their child’s journey in real time. The launch witnessed the presence of Bobbie H.Kalra, CEO and Shyam Ramamurthy, CPO and CTO, both Co-Founders of the Magnasoft Products Business, including Northstar. The Northstar safety platform integrates GPS and non-GPS locationing, video surveillance, and RFID technologies to facilitate school bus and child monitoring, school bus video surveillance, student attendance management, driver behavior analysis amongst others. Northstar provides a clean, simple and sophisticated mobile experience for parents on iOS and Android. It provides a powerful web application and dashboard for schools to manage all of their transport information in a simple and reliable manner. Magnasoft runs a dedicated Command Center that ensures constant monitoring of bus fleets in case of exigencies. Northstar has already become the platform of choice for over 200 schools and 4,00,000 parents across India. “Northstar leverages cutting edge technology to capture millions of events across dozens of parameters to monitor, analyze and report in real-time, children and bus status, route adherence, transportation safety, driver behavior and aggregate reports. We have brought together schools, drivers and parents, thereby creating a safe ecosystem for children.” said Shyam, Co-Founder and CPO/CTO. Indian startup’s culture has been mushrooming across the country over the years. So has the gender diversity when it comes to women entrepreneurship. As per a recent Nasscom’s Gender Diversity and Inclusivity Trends, the report states that India out of the 4,200 startups in the country, 9% of them were started by women entrepreneurs. 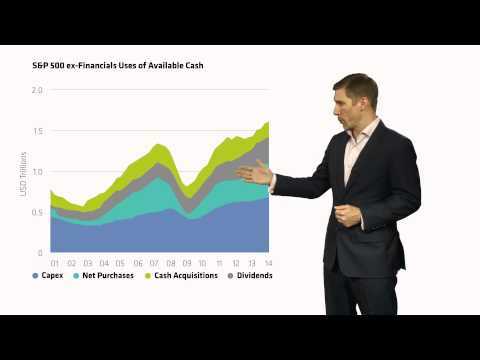 This is a 50% rise in share compared to the previous years in the country. “India is changing and so are the aspirations of its 1.2 billion people. 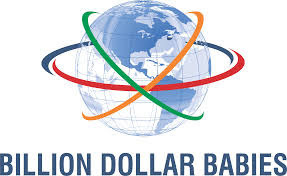 Our country, once regarded as a third-world economy, is today the hub of billion-dollar firms and a hot investment destination. In terms of providing a conducive ecosystem for the start-ups to thrive, India has moved up to third position and has emerged the fastest growing base of start-ups worldwide and likely to move up to No 2 position by 2020,” said Ashok Pamidi, Regional Head-Karnataka of Nasscom and National Lead Diversity and Inclusion Initiative. Nasscom’s reports that India is one amongst the first five largest startup communities in the world with the number of start-ups crossing 4,200, a growth of 40 per cent, by the end of 2015, he adds. 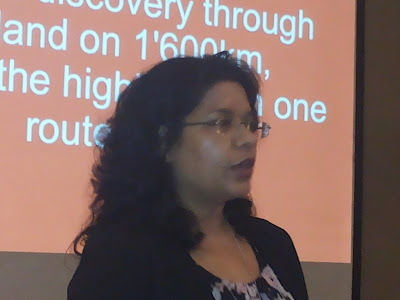 The National Association of Software and Services Companies (NASSCOM) share its findings from its report titled, “Gender Diversity & Inclusivity trends in the IT-BPM Sector”, stating that the industry is increasingly turning women centric, with women constituting 51 per cent of entry level hiring, and having a 50 per cent higher chance of getting IT-BPM job offers. 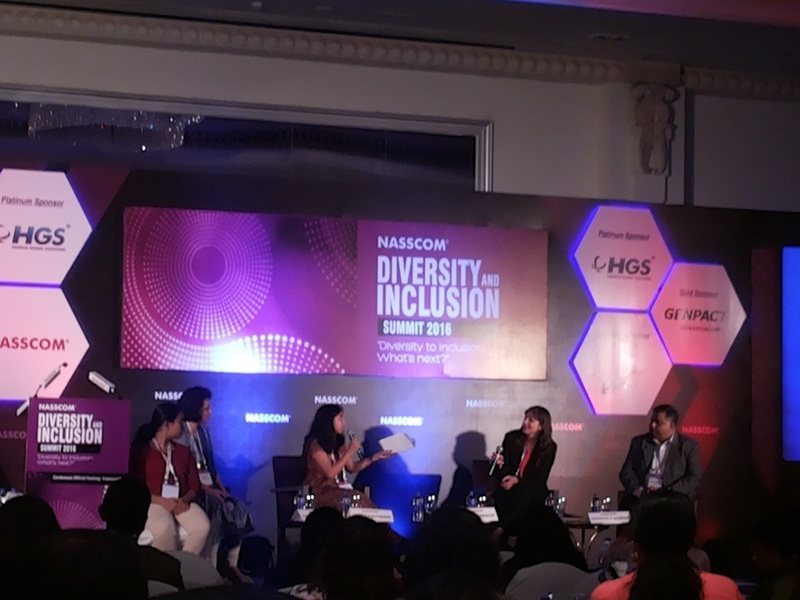 The findings were shared on the sidelines of the 9th edition of the NASSCOM Diversity and Inclusion Summit 2016 in Bengaluru. To assess the gender diversity and inclusivity situation in the IT-BPM domain in India, NASSCOM and PWC conducted a survey of NASSCOM member companies to get a perspective on how the IT-BPM industry is strengthening its current practices and embracing new emerging trends. The study was aimed at understanding the role of women in the sector, and help companies formulate practices which can further accelerate inclusion in the industry. According to the industry focus is shifting from inclusivity & diversity to empowerment, stating that women are also moving away from support roles and growing in core business operations through added focus on training and development. 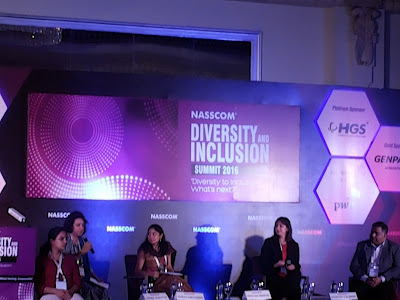 Over the years, NASSCOM has been working with various stakeholders across the industry to enable organizations to build a work environment that embraces diversity where employees, customers and other stakeholders thrive and succeed. NASSCOM has been instrumental in creating platforms of knowledge exchange across various forms of inclusion and across different cultural context for companies to share and learn best practices. The organization is also working with the government and the society to create a legal and commercial framework for support the same. While the trend of diversity and inclusion is promising in the sector, we still have a long way to go to become a fully inclusive sector. While gender equality has been established at entry levels, women still constitute a far lower share of CXO roles; the trend of women resigning at a higher rate than men as their personal priorities change is hampering this growth. 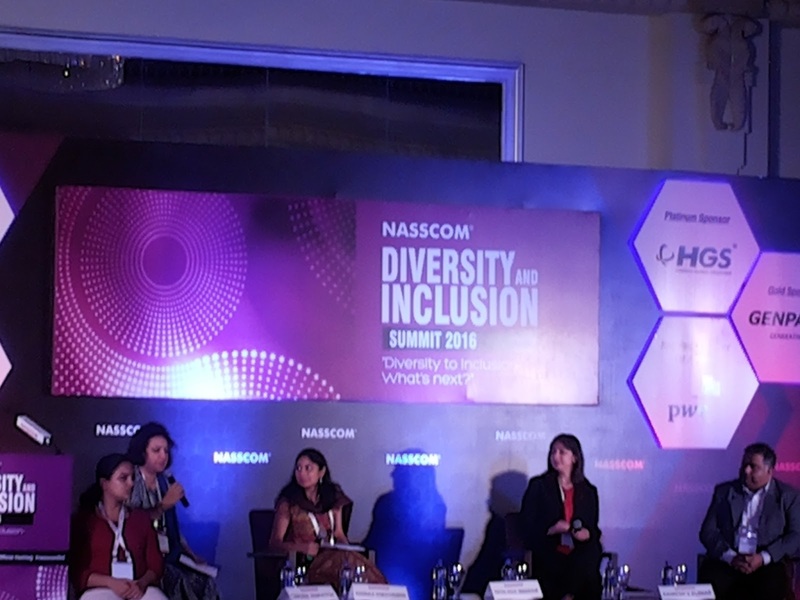 The summit also witnessed the announcement of The NASSCOM Corporate Awards for Excellence in Diversity and Inclusion 2016, aimed at celebrating best practices of companies in Diversity and Inclusion. This year, NASSCOM honored winners under 6 different categories who have made an effort to create an inclusive environment within their company. 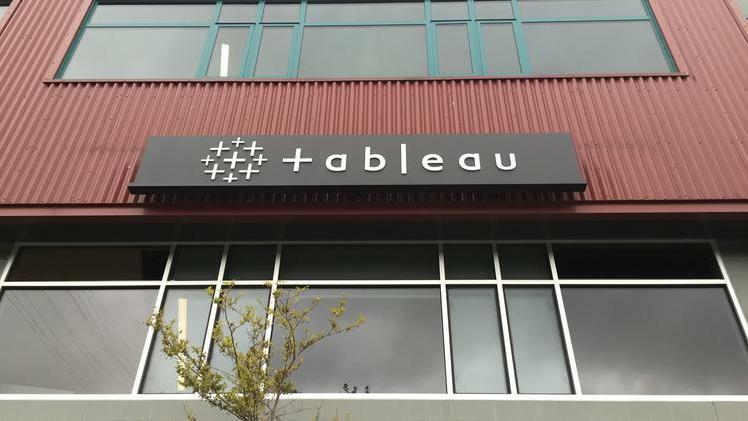 Tableau Software has announced it has acquired HyPer, a high performance database system initially developed as a research project at the Technical University of Munich (TUM). As part of the technology acquisition, Tableau will add key technical personnel and plans to establish a research and development center in Munich and expand its research into high performance computing. HyPer is a fast main-memory database system designed for simultaneous OLTP and OLAP processing without compromising performance. It also unifies transactions and analysis in a single system, and when coupled with Tableau will help customers take visual analytics closer to the transactional systems that underlie most businesses. HyPer grew out of a research project started in 2010 by professors Dr. Thomas Neumann and Dr. Alfons Kemper, chair of TUM’s database group. Four of the project’s Ph.D. students, Tobias Muehlbauer, Wolf Roediger, Viktor Leis and Jan Finis, will join Tableau, focused on integrating HyPer into Tableau products. The HyPer team will be based in Munich. Tableau plans to invest additional resources in Munich to leverage the talent from TUM for further innovation that will enhance future Tableau products. 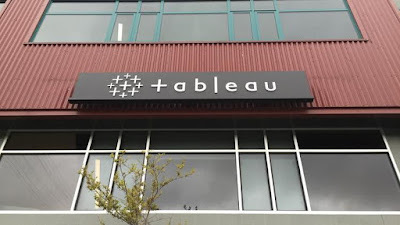 “This news is in line with Tableau’s vision to help more people to see and understand their data. 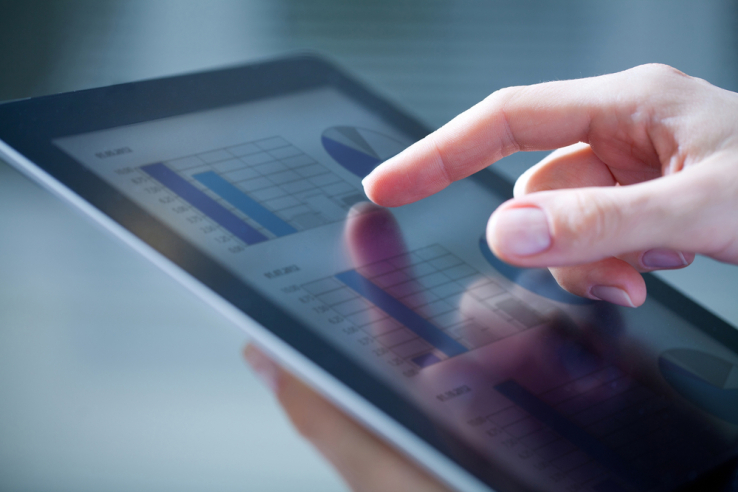 Speed-to-insight is a key differentiator across all sectors in India and we have already seen how customers like Eveready, Marico and others experience exponential returns with what Tableau offers. We look forward to exciting our customers even more, with faster data analytic capabilities and a host of other enhanced features at the level of their databases. User experience has always been at the forefront of Tableau’s efforts and with HyPer’s technologies we intend to build upon that,” said Deepak Ghodke, Country Manager India, Tableau. 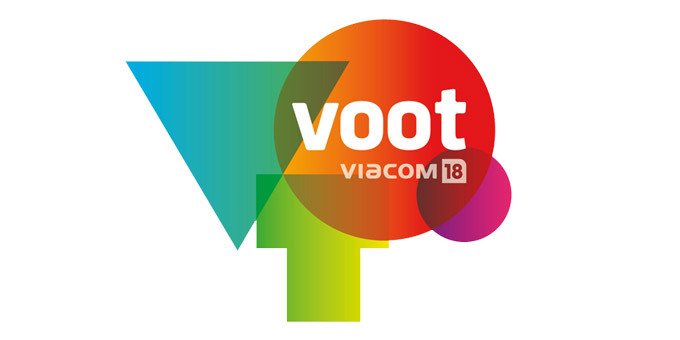 Viacom18 Digital Ventures, has announced the lineup of technical partners for its soon-to-launch digital VOD platform VOOT. Viacom18 has been working with ‘best-in-class’ partners with extensive international experience to build and roll out its Over-the-top (OTT) streaming service VOOT. Kaltura, one of the global majors in OTT and video streaming services, is on-board as the platform provider. Kaltura is building several customized features for VOOT, which will be totally unique and relevant for the Indian market. For the User Experience and User Interface design, Viacom18 has roped in US based ‘A Different Engine’ (ADE), a company which has extensive experience & specialization in building UX/UI for large multi-platform video streaming services. While Web Dunia is on board for web services and website development, the company is also playing the critical role of a system integrator. VOOT, an ad-supported VOD service, will aim to cater to the constant content consumption cravings of the always-on digital generation. In addition to exclusively showcasing the content produced and aired by Viacom18 channels, VOOT will also have a big focus on Originals – content created only for the service. Metal has long been associated with premium high-end design and style on a mobile phone. However, metal body options in smartphones were only restricted to flagship phones but the trend is changing now. LeEco was the first to change this industry norm and disrupted the market with its flagship killer Le 1s – the all-metal body smartphone at a sustainable price of Rs 10,999. 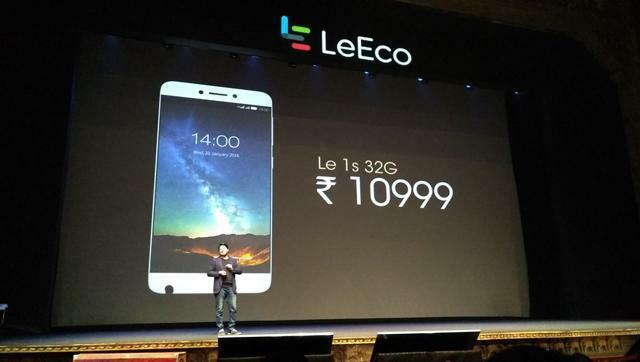 LeEco’s Le 1s Superphone flaunts a "trendy full-metal body", which only few brands in the market worldwide offer. The metal unibody is sturdy and is made from Aircraft grade aluminium. Furthermore, the Le 1s is the world's only metal unibody phone featuring a screw less industrial design leaving no trace of the industrial assembling on the design. 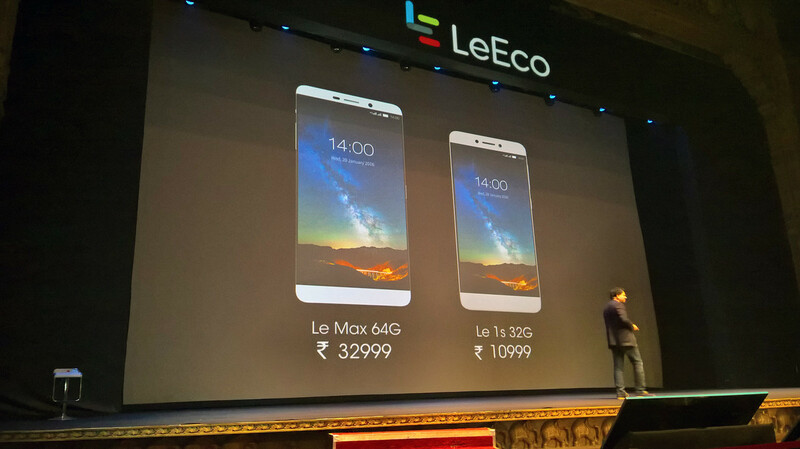 LeEco’s Le 1s was the first smartphone to offer Indian users a premium looking all-metal body phone which not only looks stylish to behold but is also a power-packed performer. Compact size - Smartphones being small in size and given that they are multipurpose, with a heavy workload, the absence of a small fan or proper ventilation will cause the little processor to heat up in the extreme of cases. Also, as the battery tries to support more resources, heating up will be the outcome. Given that the battery is located near the processor, as the phone is designed to accommodate a lot of hardware in a small case, it leaves less space for ventilation which could be ideal for cooling the system as is for example the case is for laptops. Excessive Gaming - While constantly playing games with heavy graphics, we put too much stress on the “mother board” of the smartphone and it pushes electronic inputs at a much faster rate. Playing a game requires a lot of resources from the phone and it represents the most obvious cause for overheating. Heat dispersion - If your phone is already overheating, take your case off. If your phone is hot, your case traps the heat. Taking the case off will allow the phone’s heat vents to do their job fully without being blocked. This will help your phone cool down quicker.